Chic and modern ornamental kale in 10 bubble bowl. 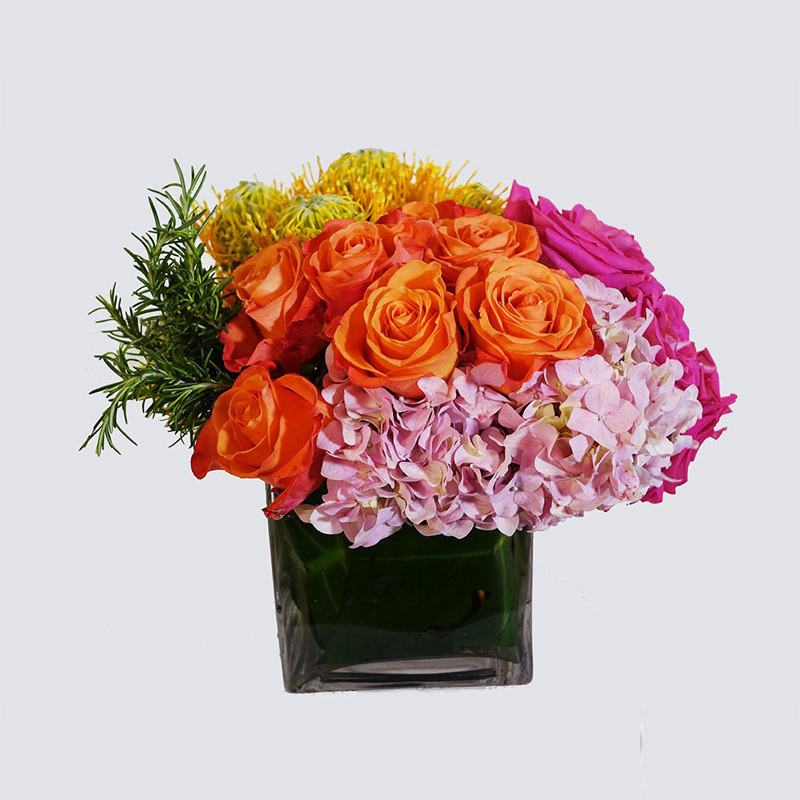 A compact display of hot pink and orange roses, hydrangeas, pincushion protea + our signature rosemary in 6″ cube. Let our designers choose from the market’s best flowers and create something one-of-a kind just for you! 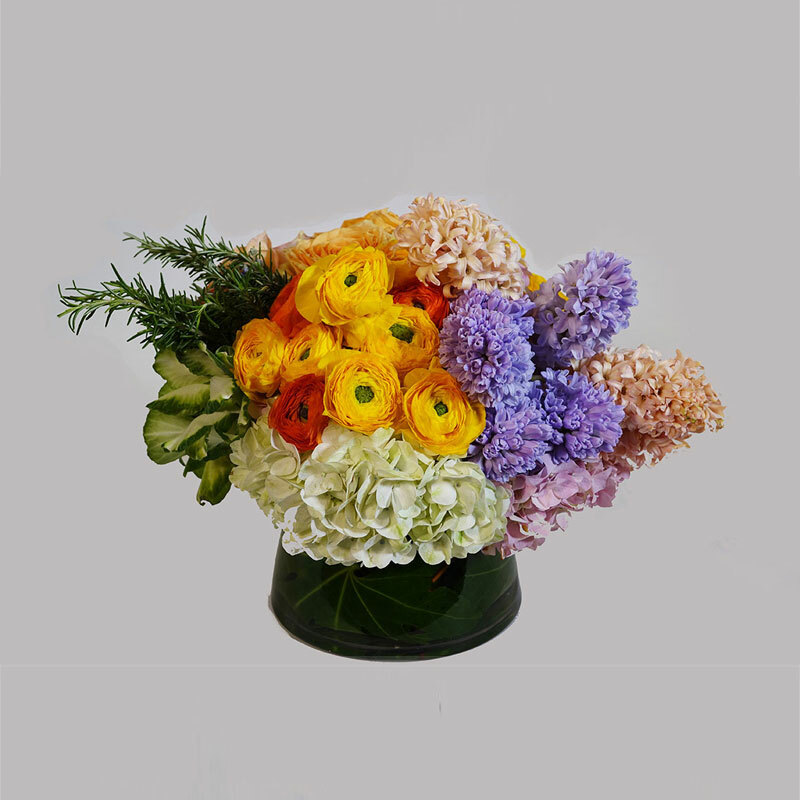 Featuring seasonal flowers such as hyacinth, ranunculus, roses, tulips, daffodil, + maidenhair. 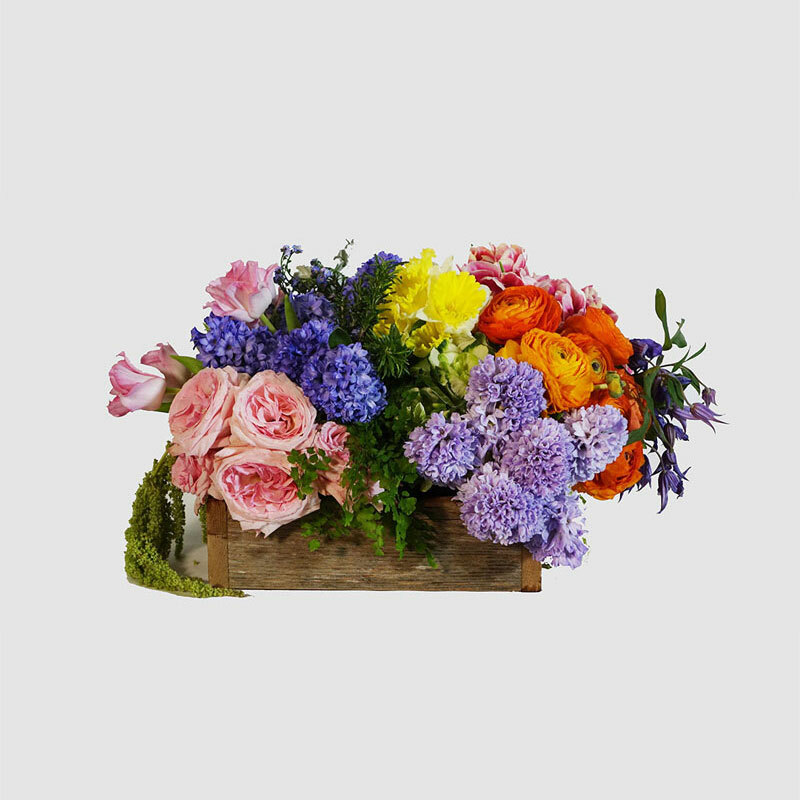 These flowers are placed in our 10″ square distressed wood frame or a square glass vessel…your choice. 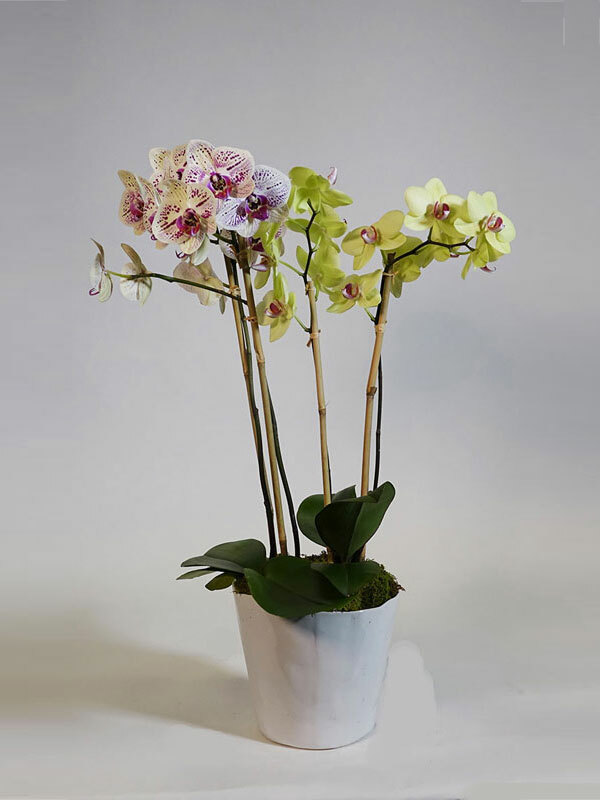 Multi colored double mini phalaenopsis orchid plants in white ceramic vessel. 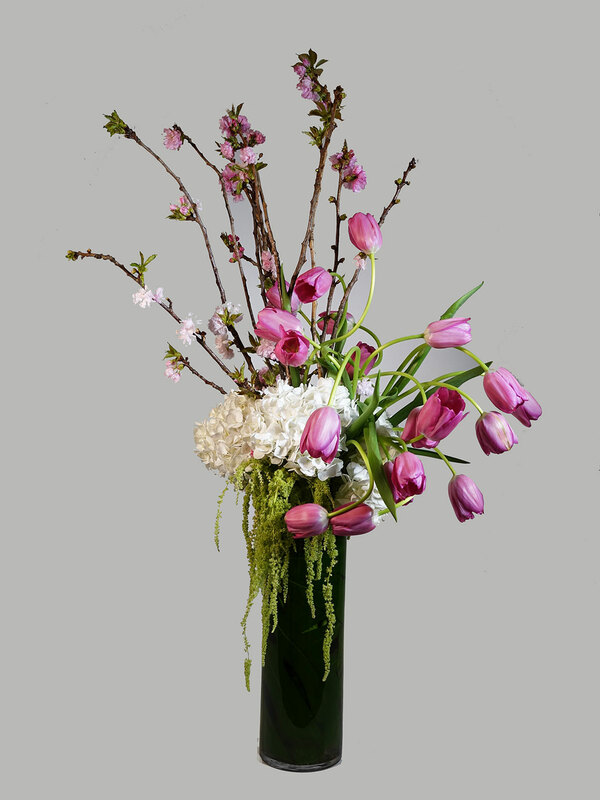 Featuring Dutch pink cherry blossoms, pink tulips and pink ranunculus accented with white roses and hydrangea. Monochromatic seasonal flowers in a leaf-lined desk size Riedel ?O? wine glass. Vase may be used for wine drinking after flowers are enjoyed. White flowers in a leaf-lined desk size Riedel “O” wine glass. Vase may be used for wine drinking after flowers are enjoyed. 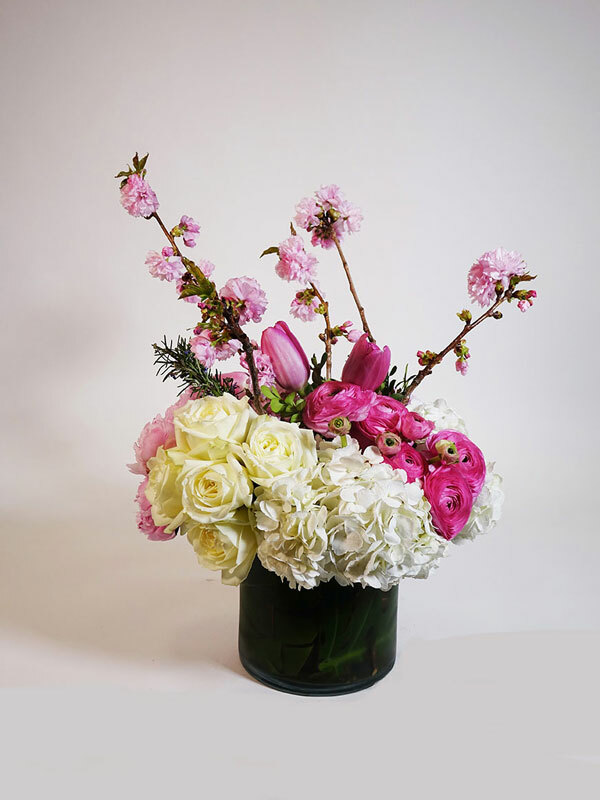 Featuring parrot tulips, ranunculus, and Alladin tulips in shades of pink shipped from Holland; cherry blossom shipped from Oregon; hydrangea + roses shipped from California. These flowers are placed in our signature treillage frame. 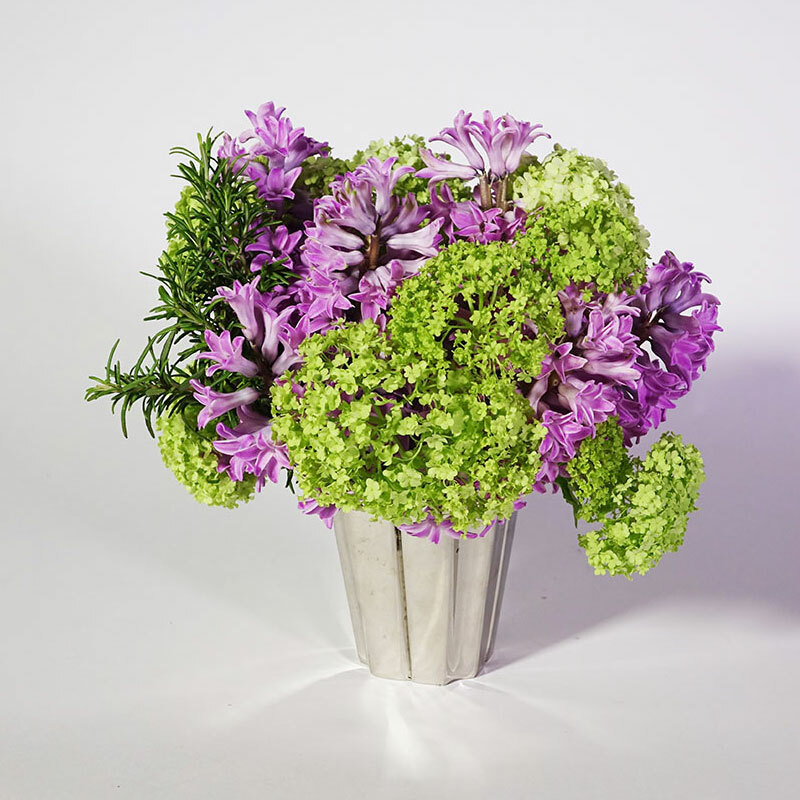 Viburnum and lavender hyacinth from Holland in scalloped silver julep cup. 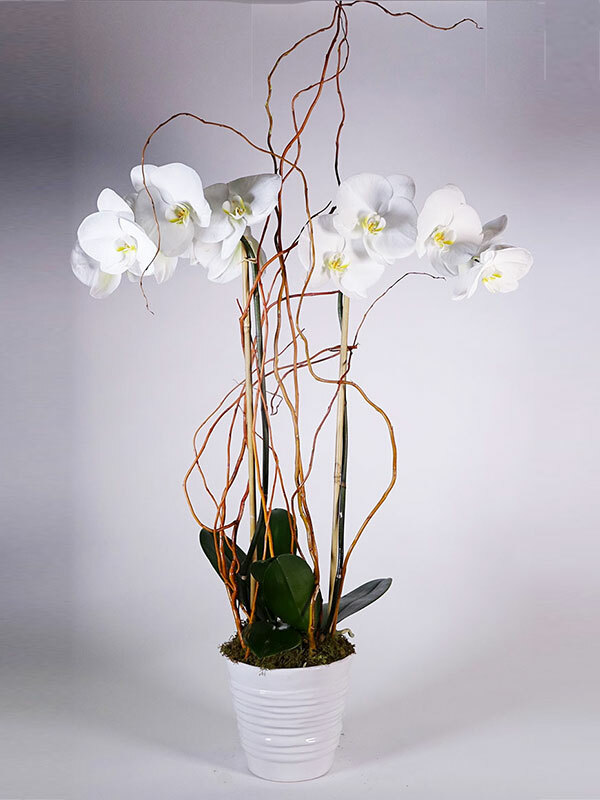 Double white orchids with moss and river rocks in a clean glass container. 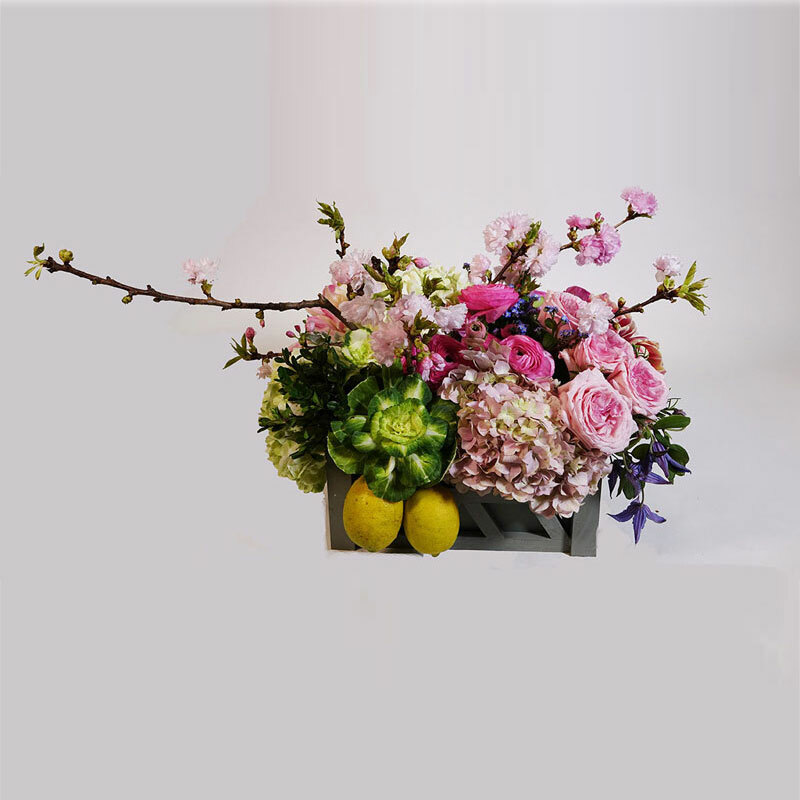 Featuring French tulips, white hydrangea and pink cherry blossoms designed in a 6″ x 20″ cylinder. 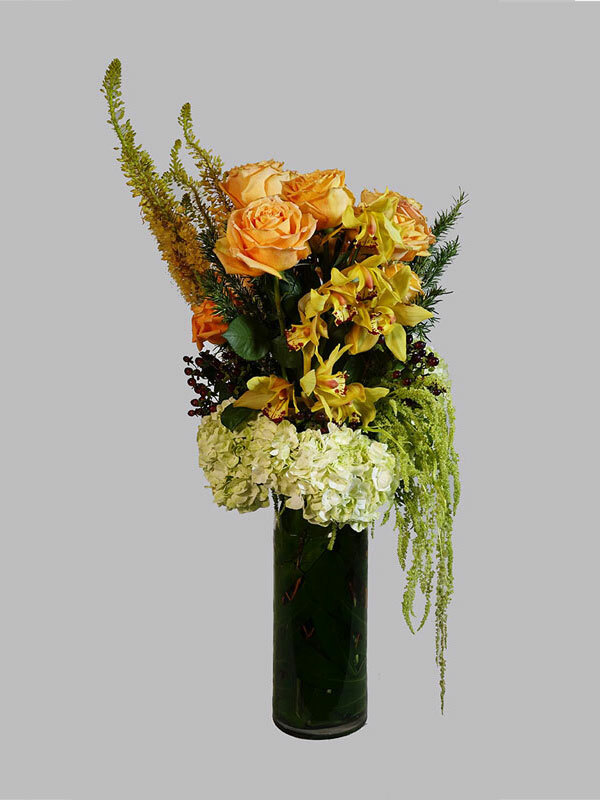 Mini orchids, roses, hydrangeas, amaranthus, cymbidium orchids, hypericum berries and our signature rosemary. 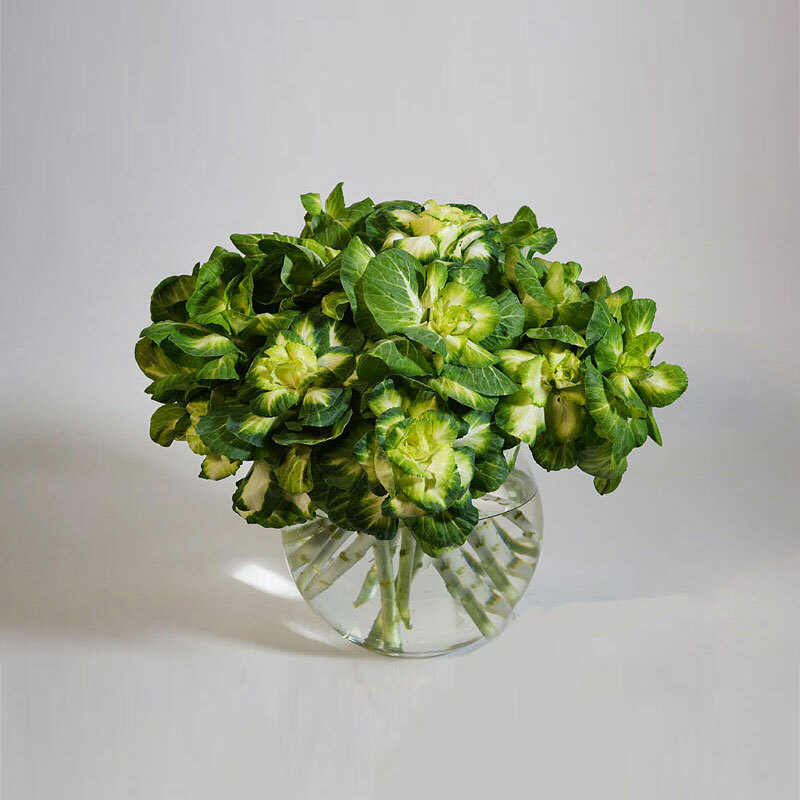 These flowers are placed in a 20″x 6″ cylinder, and are ideal for entry tables, credenzas or buffets. Flowers and vases pictured are representative of designer’s style and indicative of size but may not be identical to the arrangements received. 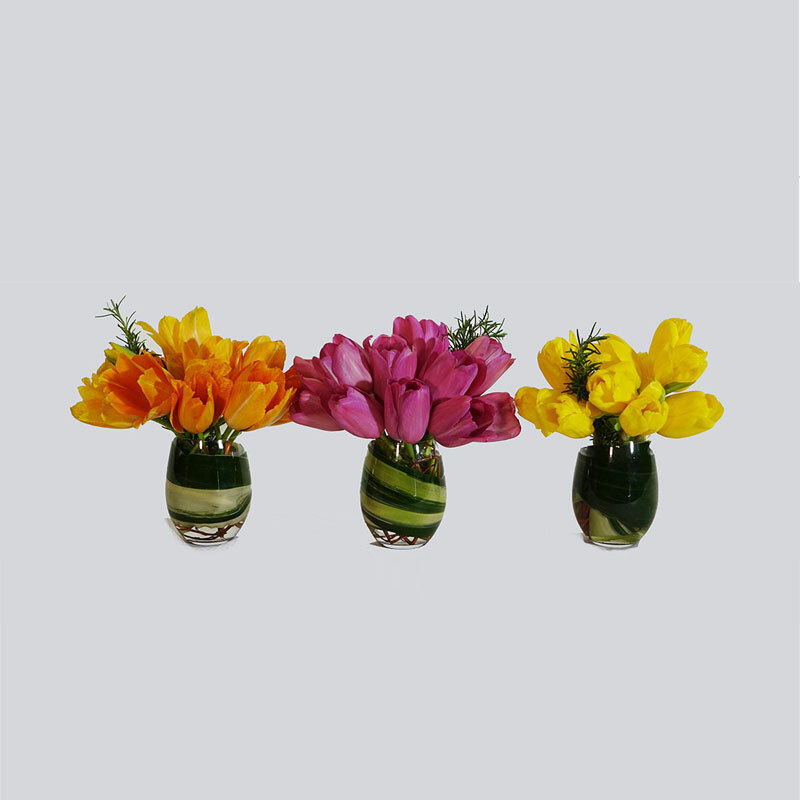 The images are meant to convey the spirit and style of the arrangement. On occasion, substitutions of flowers and vases are necessary due to seasonality and market conditions. 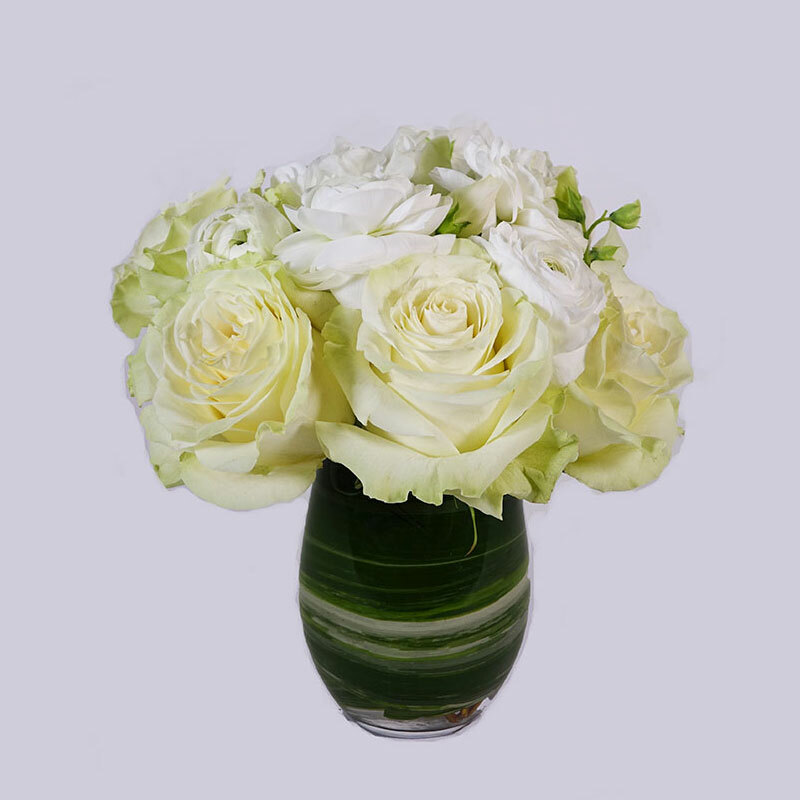 When necessary, changes are made at the designer’s discretion to ensure a high quality flower arrangement that meets our standards and upholds the same color scheme and character of the arrangement pictured.